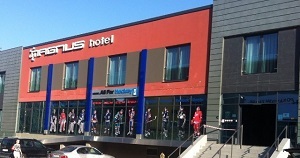 Target group of Hotel Magnus is business travelers as well as guests seeking relaxation. Hotel Magnus offers comfortably furnished spacious air-conditioned business, Executive, De luxe rooms and Apartments, gastronomic specialities in an elegant restaurant Flor de Amor, technically and professionally equipped conference rooms. The historical hotel ELIZABETH is uniquely located directly below the medieval castle, in the centre of the City of Trenčín. Hotel guests may admire the nearly 2000 year old Roman Inscription on the castle rock from the hotel`s summer terrace. Historical four star hotel offers 156 beds in 78 rooms. 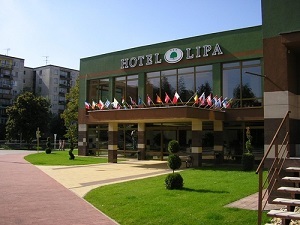 The Lipa Hotel is modern and comfortable hotel completely refurbished in 2006. It is situated just right in the centre of the town Stará Turá, 60 minutes drive from Bratislava. Accommodation in 40 comfortable, contemporary furnished double rooms with extra beds and 4 suites with accessories. The accommodation capacity is 88 beds and 40 extra beds. 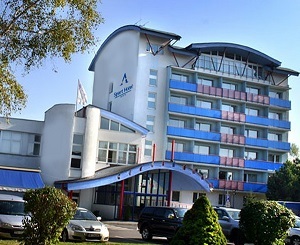 Hotel Alexandra is situated near the city center of Púchov. Hotel is newly opened four-stars Congress, Business & Relax Centre. The hotel has 40 rooms available with a capacity of 75 beds and conference rooms with a capacity of 280 seats. Bratislava Hotels and Travel belongs to the leading Slovak group of DMC companies under the umbrela of the Tour4u brand.